Mary Hong will be at the Thirsty Thursdays at Shops of Grayton. Thursday July 6, 5- 7pm. Click here to view the flyer! Mary Hong will also be at Art Santa Fe July 12-15. She will be exhibiting in booth#600. 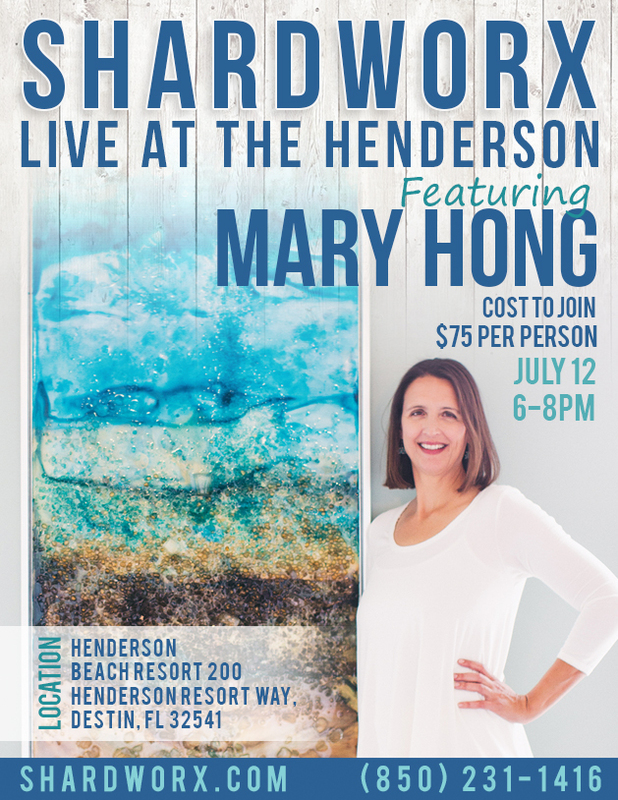 There will also be a Art Workshop with Mary Hong at the Henderson Beach Resort. July 12, 6-8 pm. Pre register. Love 30A Art? Sign up or follow us! Keep up with 30a art shows, events, new art, artists and more! First Friday Artwalk at 25 Central Square! © 2019 Artists of 30a & South Walton. All Rights Reserved.